The Best Philippines Lifestyle Bloggers from thousands of Filipino Lifestyle Sites on the web using search and social metrics. We’ve carefully selected these websites because they are actively working to educate, inspire, and empower their readers with frequent updates and high-quality information. 2.15 Will Explore Philippines | Exploring the Best of the Philippines! 2.26 Joy to the World! Philippines Lifestyle newsletter is a comprehensive summary of the day's most important blog posts and news articles from the best Philippines Lifestyle websites on the web, and delivered to your email inbox each morning. To subscribe, simply provide us with your email address. MAKATI CITY About Blog Philippine Primer is an online and print lifestyle magazine for the expat's community in the country. We feature information about the Philippines that range from food, travel, wellness, culture, events and latest happenings to various businesses, schools, and tips & guide in living in Manila. Facebook fans 112,634. Twitter followers 458. Quezon City About Blog Read product reviews, parenting, beauty supplements, fashion, and lifestyle musings. Facebook fans 6,797. Twitter followers 4,318. Republic of the Philippines About Blog This travel blog documents the adventures, stories, and travel tips of Aileen Adalid — a young entrepreneur and solo female traveler from the Philippines. Facebook fans 63,869. Twitter followers 7,069. Quezon City About Blog My name is Gretchen Gatan, and I’m a writer, managing editor, and freelance makeup artist from Metro Manila, Philippines. Writing is my passion, and this blog serves as a creative outlet where I can write about all things beauty and lifestyle—and occasionally my random thoughts and tantrums. Facebook fans 9,127. Twitter followers 2,192. Philippines About Blog One of the top lifestyle, fashion and mommy bloggers in the Philippines. A well-loved modern wife. Hands-on and affectionate mother to her smart and fashionista daughter, Keisha. Facebook fans 5,739. Twitter followers 1,716. Philippines About Blog A blog that talks about travel, tech, shopping, food, fashion and other personal adventures. I talk here about anything under the sun. Well, except politics! Facebook fans 3,489. Twitter followers 2,151. Philippines About Blog A Philippine blog about food, love, lifestyle & travel. A journal of restaurant reviews, food adventures and gastronomic finds in the Metro. Facebook fans 4,949. Twitter followers 1,786. MNL About Blog I'm Chuckie Dreyfus. This lifestyle blog is all about the things I LOVE and what interests me: food, travel, gadgets, fitness, entertainment and tech. Facebook fans 29,067. Twitter followers 60,536. Philippines About Blog Hi, I am Mommy Levy! A Mommy Blogger from Manila, Philippines. I like trying new dishes, visiting new places and doing my best to Live Life to the Fullest. Facebook fans 7,033. Twitter followers 3,099. Manila, Philippines About Blog This whimsical blog talks about subjects close to a woman's heart: travel, food, fashion, beauty, gadgets, events, theater, and more. Facebook fans 3,601. Twitter followers 2,923. Philippines About Blog GirlandBoyThing is a lifestyle and travel blog in the Philippines owned by Filipina nurse-turned-entrepreneur, Cristelle Torres. She blogs about the top travel destinations, best foods to eat, nice things to do and more. This lifestyle and travel blog targets mostly Filipino men and women. Facebook fans 2,754. Twitter followers 956. Facebook fans 3,361. Twitter followers 4,689. Mandaluyong City, Philippines About Blog A lifestyle that makes the most out of every avenue. Facebook fans 8,513. Twitter followers 2,017. Facebook fans 2,855. Twitter followers 723. 15. Will Explore Philippines | Exploring the Best of the Philippines! Angeles City, Central Luzon About Blog Hi! I’m Will Garcia, Travel & Lifestyle Blogger from the Culinary Capital of the Philippines, Pampanga. This website will feature and review different restaurants, local and international brands, travel destinations, hotels and anything within the more than 7,000 islands of the Philippines. Facebook fans 4,411. Twitter followers 572. Manila, PH About Blog Aisa Ipac is an engagement stylist & fashion blogger. Facebook fans n/a. Twitter followers 9,155. Makati City, Philippines About Blog eLifestyleManila is a collaboration of two bloggers whose objective is to write about photography, events, models, a little about showbiz, food and restaurant review, a bit of tech and travel, enterprise news and more. Facebook fans 406. Twitter followers 642. Brownsville Texas About Blog The blog shows the neccessities of a modern wanderer. From clothing, beauty must-haves, food and lifestyle, everything is tackled under one umbrella. Facebook fans 6,125. Twitter followers 1,006. Facebook fans 647. Twitter followers 263. Philippines About Blog A travel and lifestyle blog in the Philippines sharing interesting updates on travels, food, technology, entertainment, and more. Facebook fans 1,678. Twitter followers 849. Philippines About Blog Lifestyle Bucket is a lifestyle and travel blog authored by social media consultant Rey Belen from Manila, Philippines. He writes about adventures, travels, gadgets, photography, food, health and lifestyle stuff. Facebook fans 4,124. Twitter followers 1,145. Marilao, Central Luzon About Blog Middle life is Beautiful is an avenue for midlife women to bond over their midlife experiences in their family, relationships, health, beauty, fashion & travels. I would be sharing posts about midlife journey, my travels, about health, beauty and fashion for women the same boat as I am but maybe the younger sets can enjoy reading them as well. Facebook fans 142. Twitter followers n/a. Philippines About Blog Eccentric Yet Happy is a lifestyle blog which caters a lot of interesting topics. Eccentric Yet Happy is one of the top 10 emerging influential blogs. With a wide variety of topics at hand, it brings a spotlight on current trends and advocacies. Facebook fans 1,049. Twitter followers 1,596. Philippines About Blog Living Beyond Style is a Lifestyle blog that records my daily adventures, life experiences, including travels, events, and fashion choices. Facebook fans 534. Twitter followers 1,934. Philippines About Blog jenamaen.com is a lifestyle blog of a girl with many passions. She transitions from being a reluctant traveler, a fashion and beauty enthusiasts, a health and wellness buff, a fabric hoarder and striving sewist, a notebook and planner addict and a book collector. Facebook fans 766. Twitter followers 457. 26. Joy to the World! About Blog A blog that aims to bring joy to the world by writing about the best things in life: beauty, travel and food. Central Luzon About Blog A Site for Filipinos, Expats, and Vacationers to Learn, Know and Understand the Beauty of the Philippines. Facebook fans 8,799. Twitter followers 5,071. Philippines About Blog I am a South girl only because I haven't lived anywhere other than the South (Luzon Island Philippines). I was born in Batangas and grew up in Paranaque, Since then, I've been moving around this particular island. Facebook fans 1,121. Twitter followers 123. Ayala Alabang About Blog A lifestyle blog that features the other side of a lawyer's life: food, travel, fashion and other things she loves. Facebook fans 2,881. Twitter followers 1,295. Ayala Alabang About Blog A Lifestyle Blog by Patty Laurel Manila, Philippines. Facebook fans 5,533. Twitter followers 24,565. 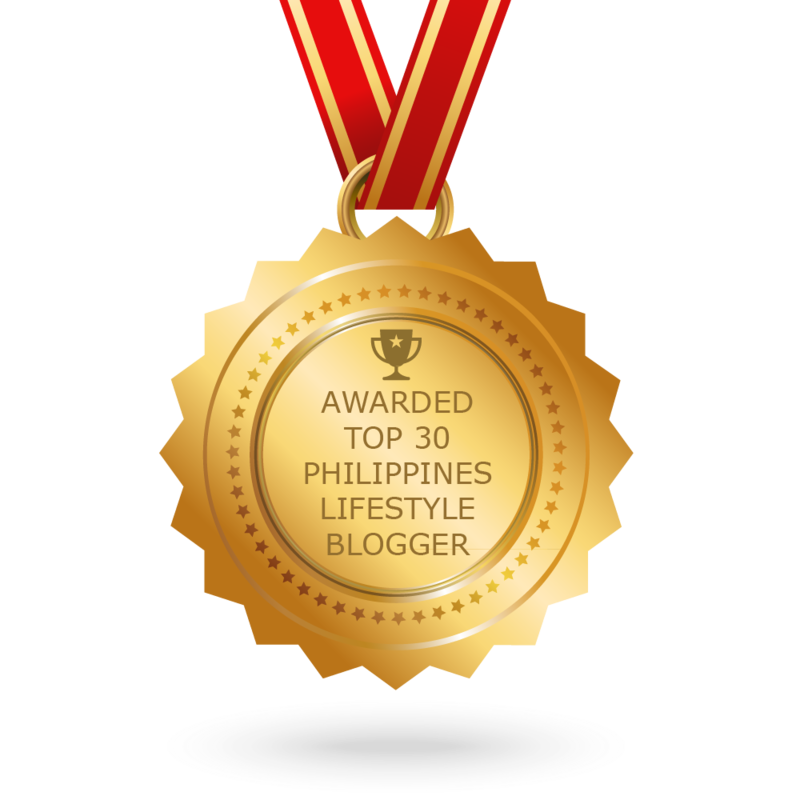 CONGRATULATIONS to every blogger that has made this Top Philippines Lifestyle Bloggers list! This is the most comprehensive list of best Philippines Lifestyle Bloggers on the internet and I’m honoured to have you as part of this! I personally give you a high-five and want to thank you for your contribution to this world.